This past May I spent a few days at the annual American Association of Museums conference in Los Angeles for The Art Newspaper. 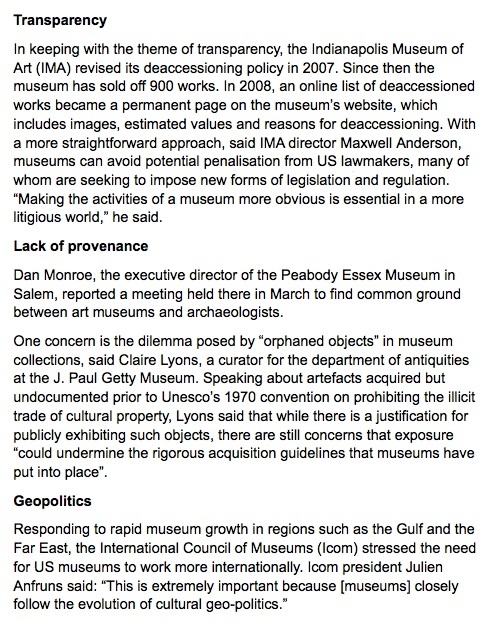 It was an excellent opportunity to meet some of the world's top museum professionals and understand the complexities they are currently facing. 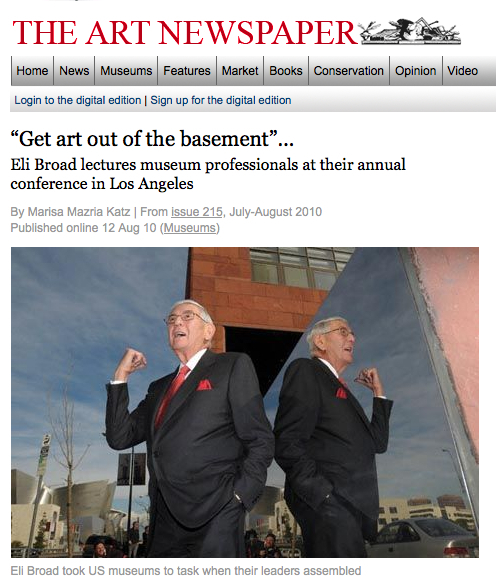 One of the key moments was when billionaire philanthropist Eli Broad spoke and implored museums to 'Get art out of the basements'. My piece went on to be featured in The Economist and Forbes.